Perfect for gift giving. 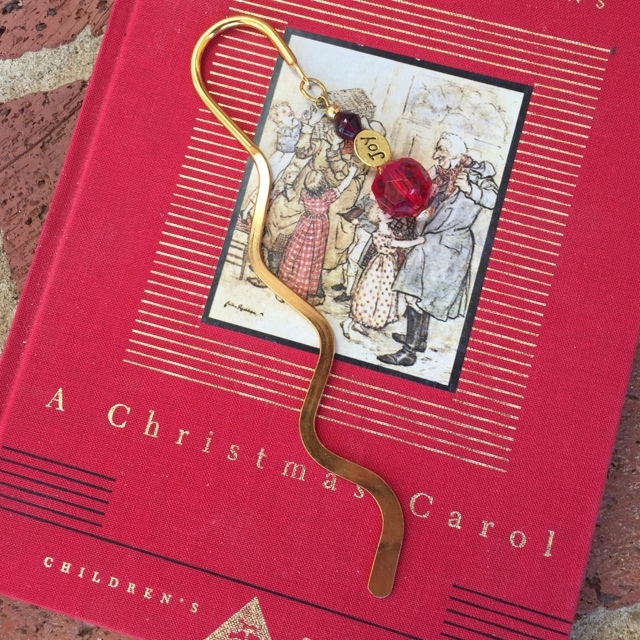 This gold plated wiggle bookmark is accented with red and gold beads. The word JOY is to remind you to smile when life gets too serious.